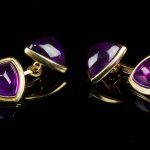 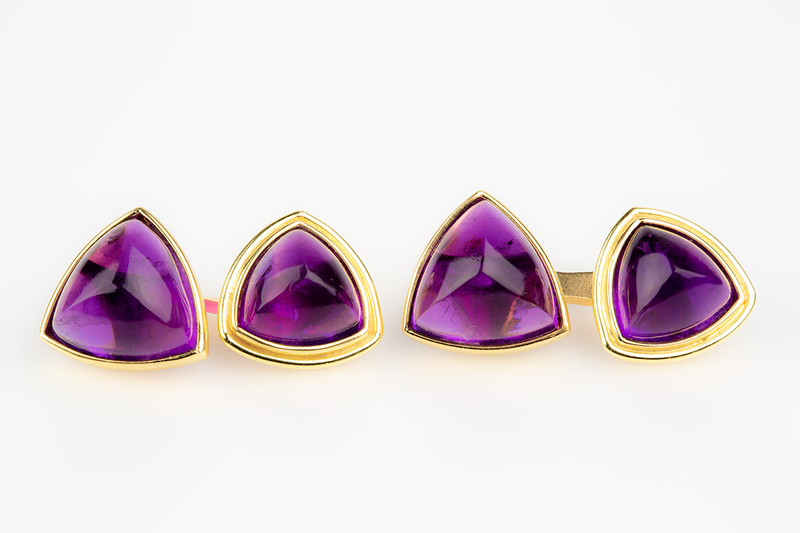 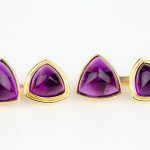 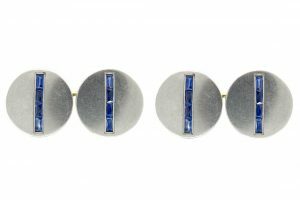 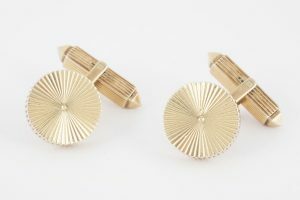 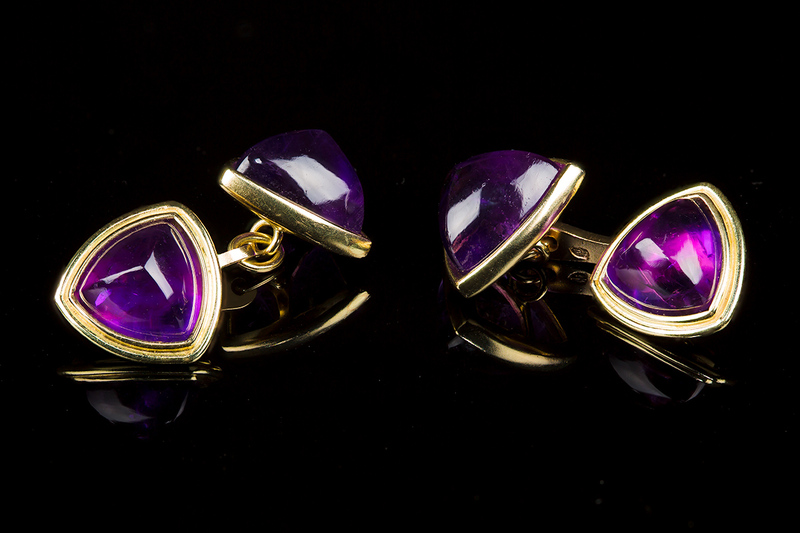 An unusual pair of double sided cufflinks in 18 karat gold with triangular mounted amethysts. 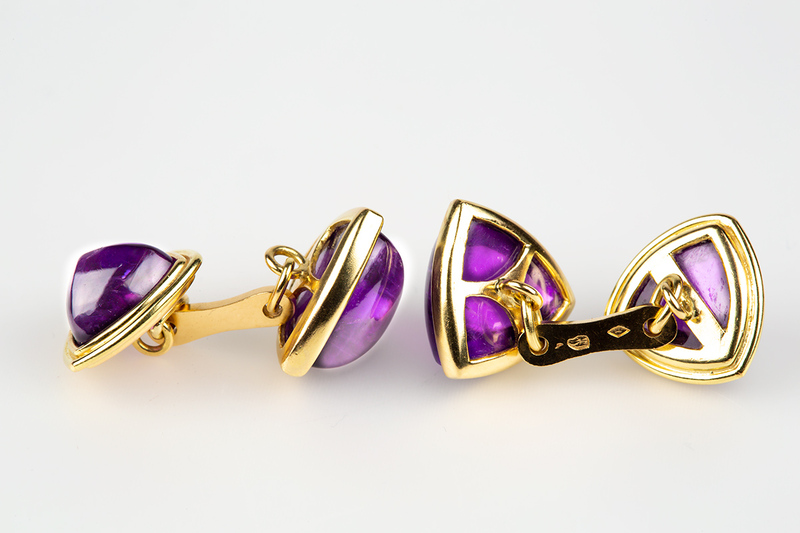 The cabochon shaped amethysts are of particular fine colour with 2 styles of setting. 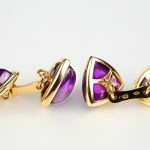 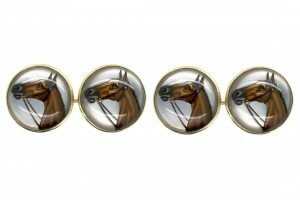 One half of the link has a wider gold border than the other so they can be worn either way around. 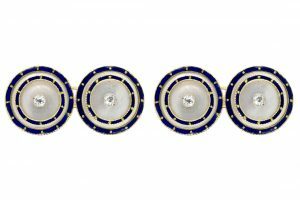 The connecting bars are stamped with an eagles head which are French marks.